Germs! We do everything we can to avoid them. From a pesky cold to a serious bacterial infection, the problems resulting from picking up some unwanted germs are not fun at all. Did you know that Solid Surface materials hate germs too? In fact, germs also hate Solid Surface. Why such animosity? Solid Surface is a nonporous material. 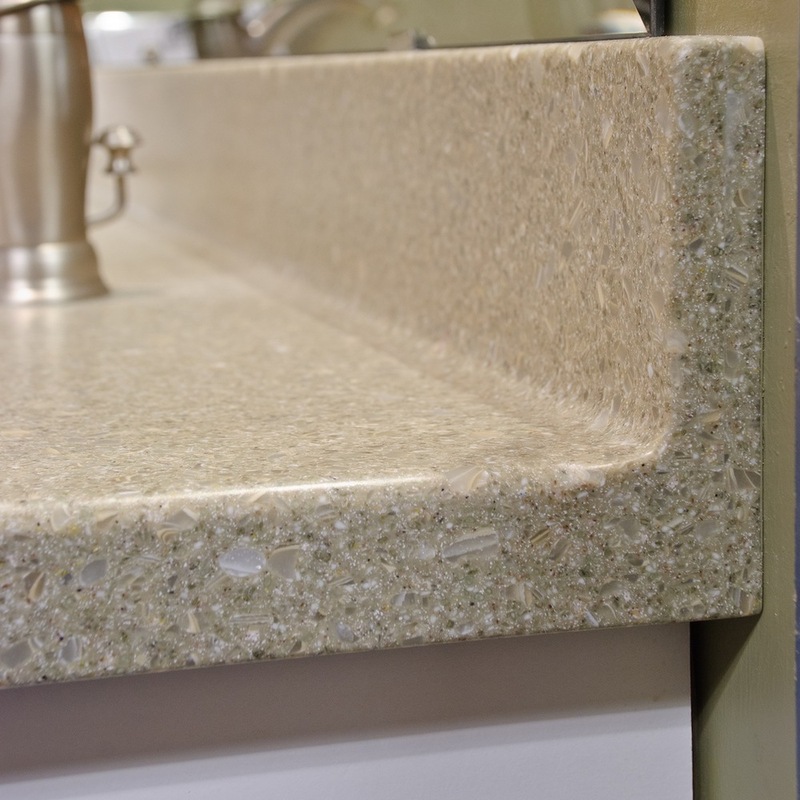 Unlike granite and other stone surfaces, Solid Surface materials have no nooks and crannies for germs and bacteria to hide and grow. This characteristic of Solid Surface is great on it’s own, but coupled with several fabrication techniques, germs just don’t stand a chance. Solid Surface can be fabricated in a way that there are no sharp inside corners for germs to hide out in. For example, a countertop with traditional loose backsplash and a caulked seam that will eventually break down is like hanging out a sign saying, “Attention all germs and bacteria, free room and board!”. In contrast, Solid Surface can be formed or fabricated with coved inside corners, leaving a smooth, easy to clean surface that tells germs to “Get Lost!”. Another favorite place for germs to hide is at sink edges, where the sink meets the countertop. Again, caulked areas can break down providing a tempting residence for all sorts of nasties. These possibilities are eliminated with the use of an integrated Solid Surface sink that has a smooth transition to the countertop. 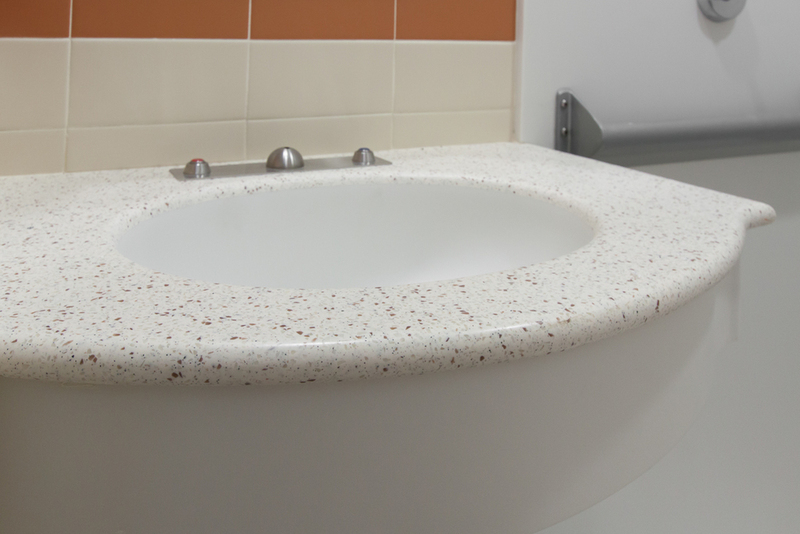 Solid Surface materials are also easy to clean and maintain, providing further measures against the outbreak of germs and bacteria. With these factors in mind, Solid Surface is an obvious choice in healthcare and food service applications. It is vital that these areas be kept free of harmful germs and bacteria, and all of us as patrons and patients appreciate any steps taken with our health and safety in mind. Whether you are a homeowner, designer, or architect, why not consider the health benefits of using Solid Surface in your next project.